True love truly does exist. It’s just a matter of finding our perfect match. 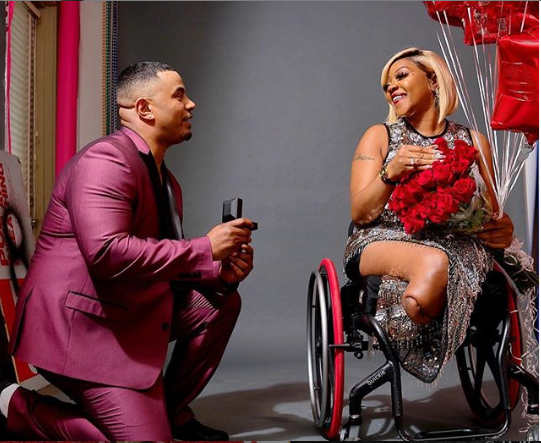 John and Keisha’s gripping love story has just surfaced on the internet, and needless to say, the interesting fairy tale account has many social media users feeling goosebumps on their skins. When Keisha Green, first met and fell in love with John Anthony Seldon, her legs were intact. But unfortunately, after a few years, circumstances separated them. However, these unfavourable events did not stop them from being together. John and Keisha were separated for eight years because the former was sent to jail. During these years of separation and in between his years of being in prison, Keisha lost her two legs to some terrible event. John was later released from prison and when he came back, he continued loving Keisha and stuck to her despite her challenge. 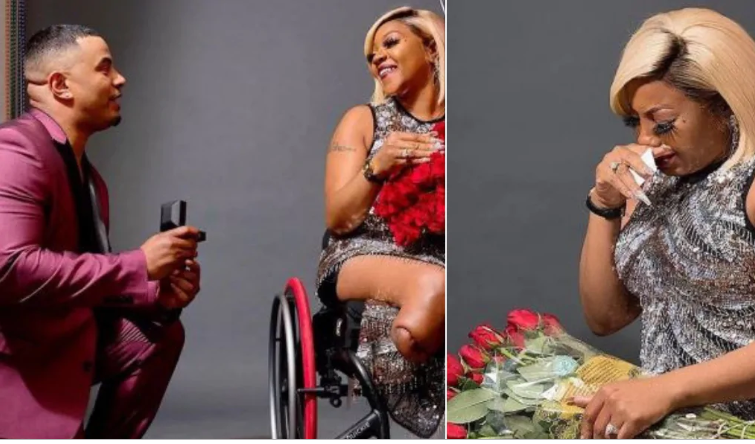 A few years after the incident, the duo went for a photo shoot and after handing her 17 balloons and a bouquet of roses, the dapper looking young man got down on one knees and popped the question. The physically challenged was beyond surprised. She hesitated for a while and then said Yes to the man who has always been there irrespective of her flaws. 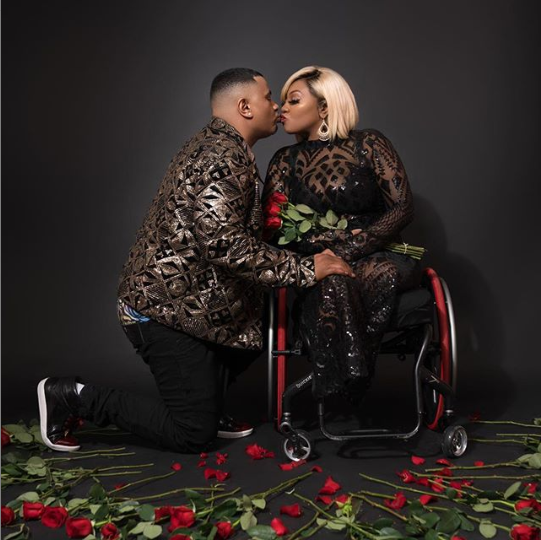 Grateful for the gift of resilience and togetherness, Keisha shared her heartrending love story on Instagram. According to her, she was not sure John would stick around after her legs got amputated. But not only did he stay, he also opted to spend forever with her. Now she is soon set to become Keisha Seldon. ”With us being apart 8 years due to a prison sentence 5 years of that I spent without the legs although I’m certain God walks for me. I knew one day he’d send my King @john_166_s home to me so that he may walk while I roll into the life God chose just for us Team Seldon to be . After losing my legs, I wasn’t sure if we would still be together. I was wondering who could be with me without the legs? Well God showed me that a true king will love all of my flaws. He said imma make you my Queen. I love you more than I did before, he said you won’t ever be able to run out my life. Baby I realized that we were so great for each other, he needed me and I needed him and we couldn’t give up on each other. We fought hard for our love 17 years of fighting. No matter that after all we had endured the lost of love ones, the lost of limbs but he didn’t refuse to lose anymore time and he decided to never spend another day apart! Baby you surprised me with 17 balloons and 17 roses and I thought that was enough but then you got on your knee, and popped the question! Call me Mrs. Seldon because I said YES !!!!!! I was saying no way ….. I always know what your up to no wonder you was shaking like a leaf I thought it was your first photo shoot you were shaking about it was the ring in your pocket …. ❤️❤️❤️.